As you are reading this page on this site, we can take it that you are already have some level of interest in aviation and you may be wondering whether it is something that you should get directly involved in. Only you can make that fundamental decision but this article is aimed at providing basic information on which to base your choice. We will assume no previous knowledge of aviation. 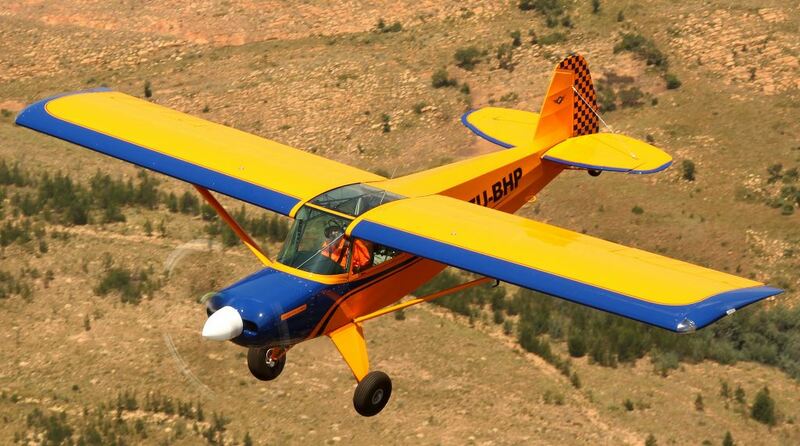 Building or restoring a permit aircraft is a very different undertaking compared with flying. if there was never any prospect of flying the resulting machine. If the answer is "yes" then you are most assuredly a builder by nature. For you, flying your finished aircraft is an added bonus on top of an enjoyable build/restoration phase. You will probably have already completed other big 'DIY' projects in the past or you may be someone who works in a hands-on technical profession or trade. If the answer is "no" then you are probably mainly a pilot by nature and it would be best to be cautious about undertaking a complex project on your own. There are still several options available to you within permit aviation however. The most obvious one is to buy a completed permit aircraft. Such aircraft often come up for sale, though the choice in Ireland will be limited. Permit aircraft can also be imported, providing a wider choice. ILAS has an advice leaflet on importing a permit aircraft. Other options include buying an incomplete project, which shortens the time required for the construction phase of the project. The labour cost of an unfinished project is almost never reflected in the price. Remember this is a purely non-commercial enterprise. Part completed projects are commonly sold for the value of the parts and materials. Getting involved in a group project is another way of reducing your non-flying input to the enterprise and may shorten the time required to get flying. New Homebuilt or Classic Vintage restoration? This is largely an emotional decision, depending on which kind of aircraft you think is the coolest. If you love new technology, modern design and all that goes with it, you are likely to be drawn to the latest homebuilt types. On the other hand, if you tend towards nostalgia it is likely that you would be happier falling in love with an old wreck and and buying it or restoring it to factory-new condition. There are many plans and kits available for the construction of replica vintage and retro-styled modern aircraft. So it is not necessary to acquire an original aircraft in order to experience biplane flying (have a look at the Hatz and the Skyote for instance) or to re-create world war II flying (How about a Storch replica or a three-quarters scale Spitfire or Mustang). Homebuilding from kits or plans can easily be combined with a classic/vintage end result, if you prefer the idea of building compared with restoring. In general, replica or restored original classic/vintage types will not accomplish the same 'mission' as some of the more advanced homebuilt types. 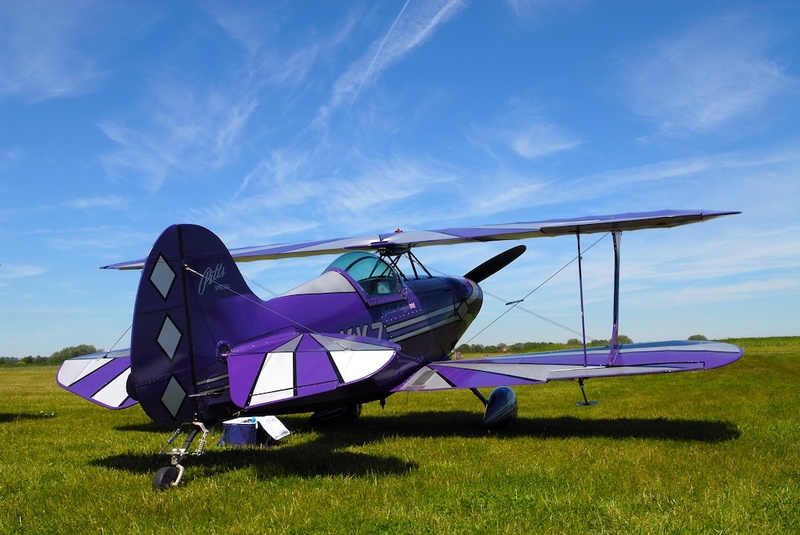 So if it touring over long distances or doing advance aerobatics is central to your plans for your aircraft, then you are likely to be restricted to a homebuilt type such as those from Vans. In the other direction, there are many homebuilt types well suited to 'low and slow' summer evening 'bimbling' around your local area. This decision will overlap with the one described below as few if any aircraft can be built using a choice of different construction systems. The first question that arises is "What is your mission?" 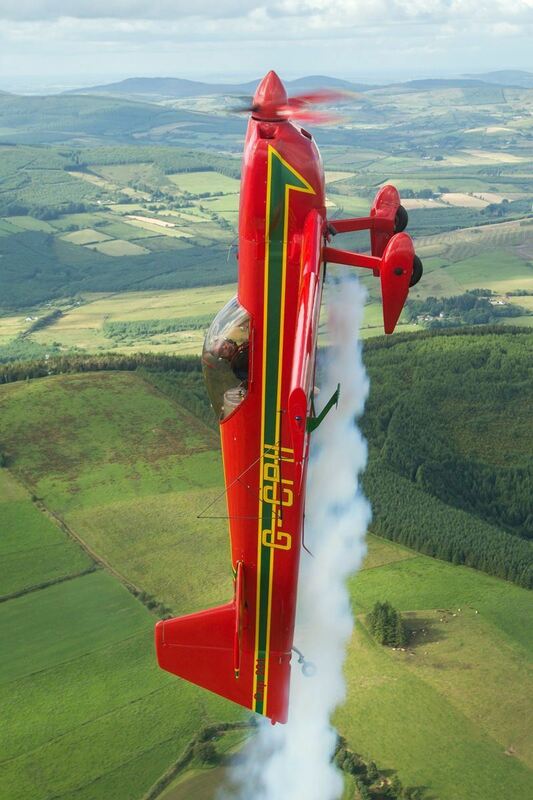 meaning how are you going to use your aircraft?. Some builders construct and equip their permit aircraft to travel as far as South Africa (as our first Air Touring Award winners did) or circumnavigate the globe whether east-west or north-south (again, both have been done in permit aircraft). Others want nothing more than to go up for half an hour to wave to their neighbours on a summers evening. To make this choice, you need to expose yourself to all the options. Get as many flying 'rides' as you can. You can buy a flying experience at a flying school, often with a discounted voucher. Joining aviation societies and clubs such as ILAS will often lead to friendships that lead to flying trips. Simply exploring flying videos on Youtube will be a help in identifying exactly what king of flying you are most interested in. Kitplanes magazine, publish an annual directory of all known kit aircraft, usually in their December issue. An on-line subscription is available at the time of writing for $19, which gives one year's access to the entire back catalogue of editions as well as 12 new ones. Attend airshows as a ground-based visitor and have a look along the flight line (but its not cool to touch them without the owner's express permission). The biggest in the world is Airventure at Oshkosh WI every July, where you can see 10,000 attending aircraft in one week. Nearer to home is Aero Friedrichshafen in Germany every April - very cheap and easy to get to as Ryanair fly Dublin to Memmingen which is near the venue. There is a wide range of options in the basic method and materials by which permit aircraft 'airframes' (the body of the aircraft) are constructed. Some of the main ones are described below. There are an infinite number of combinations of these systems in which different methods are used for different parts of the aircraft. Of course, if you have decided on a classic/vintage restoration, then you must accept the construction system of your chosen aircraft and then become expert in repairing and maintaining that type of airframe. The choice between these system will depend on your interests and it has to be said, personal prejudices regarding those systems. You also need to bear in mind pre-existing skills, available workspace and equipment. This system dates from the earliest days of powered flight. The fuselage is made from a series of frames or bulkheads of different shapes and sizes arranged parallel to each other and distributed along the length of the fuselage. Thin wooden laths or 'stringers' are then attached lengthwise to the edges of each frames, forming the fuselage shape. Fabric is then glued over the outside of the fuselage and stretched taut before being sealed and painted. Wings and other lifting surfaces are constructed in a similar manner with fore-aft frames (called 'ribs' in the case) attached to a strong main spar and a secondary spar, so that together, they look a bit like a ladder. Fabric is often stitched and glued directly to the ribs without the use of stringers, though sheet plywood is often used to form the leading and/or trailing edge. Very good joinery skills are required to be successful with this type of construction. Also, special high specification timbers are required. Spruce is the main species used. There are many variations to this system. The main one replaces the timber frame with a welded steel tube frame. A special alloy of steel is used to combine strength with lightness. These alloys are not particularly easy to weld in thin sections, particularly where 5 or 6 tubes are coming together in one complex joint. However, the level of skill is not beyond a patient amateur. Equally, the skin material can be changed to sheet aluminium or plywood at least in some places such as the leading edges of the wings. Some more basic (and cheaper) designs employ a simpler wooden box construction where the loads are shared between the framing and skin material. It goes without saying that these designs can look a bit 'boxy' but talented designers have produced aircraft designs that skilfully use varying geometry to approximate what we would expect a good aerodynamic shape to look like. An example of this kind of design is the VP2. A step up from this kind of construction covers the basic fuselage 'box' with an outer layer of shaped foam which is then given a fibreglass skin. An example here would be the pretty little KR2 design. These type of designs will require less woodworking skill than a more traditional wooden framed aircraft. The 'faired box' type will also require skill in using fibreglass and the wings and flight surfaces are likely to be similar to the wooden frame/stringer system and may require working with fabric skins. 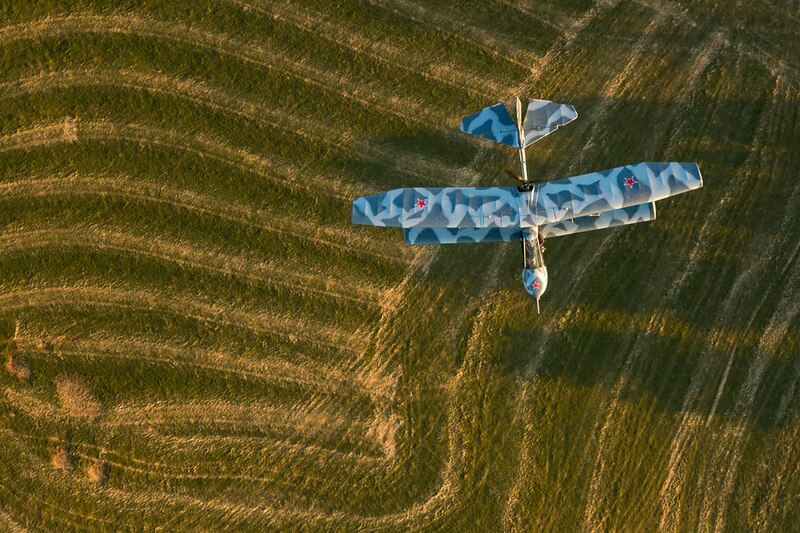 These all-metal aircraft have been a mainstay of the homebuilt category for many years now, replacing wooden and metal fabric covered aircraft designs to a considerable extent. A 'monocoque' construction is one in which the skin bears all of the loads. A 'semi-monocoque' system still partly relies on bulkhead frames but the skin carries most of the loads. The bulkhead frames are usually made from a ring of light flat aluminium sheet with a tray-like flange around the outer (and usually also the inner) edge which is bent up to match the line of the skin passing over the frame. The skin is then riveted to these flanges. light aluminium stringers are also employed, particularly where two skin sheets need to be joined on their length-wise edges. Stronger aluminium 'longerons' are also used to add strength, particularly around the cockpit where the wing spars are attached and close to the firewall from which the engine mount hangs. The wings are similarly constructed but the main wing spar will most likely be an "I" beam design made from heavy sheet and extrusions. Alternatively, the spar may be a substantial metal tube. The most recent construction system to inspire homebuilders has been fibreglass and its close relative, carbon fibre. This construction method was popularised in the 60s by the canard designs of the legendary Burt Rutan. The system is exemplified in his popular EZ series of aircraft (VariEze, CoZy, Long-EZ). The various shapes of the aircraft are cut and shaped from insulating foam material which then forms a positive or 'male' mould. A fibreglass skin is then laid up over the foam mould before being filed and sanded to a quality finish. The foam remains permanently inside the fibreglass. These aircraft were originally built entirely from plans. However a number of kits are available with pre-manufactured sections or panels, which considerably shorten the construction time required. More advanced composites, such as those based on carbon fibre, are now being used by kit manufacturers to produce kits comprised of large components that need to be bonded together to produce finished airframes. The parts are produced in production standard female moulds and so do not have the same reliance on foam to support the skin. This system produces aircraft that tend to be light and very strong. The flexibility of the system produces very pleasing and aerodynamically efficient shapes that are capable of hight performance. The skills required are easily acquired though care needs to be taken to always ensure that fibreglass layers are built up with no voids and the resin cures properly. Defects in the layup are not easily apparent until they come under pressure. Some people also find it hard to tolerate the skin irritation that can result from the fibres and also the resin smells involved. While the actual skills are basic, It has to be said that the extensive sanding involved can be tiresome and needs a good 'eye' for a smooth surface.